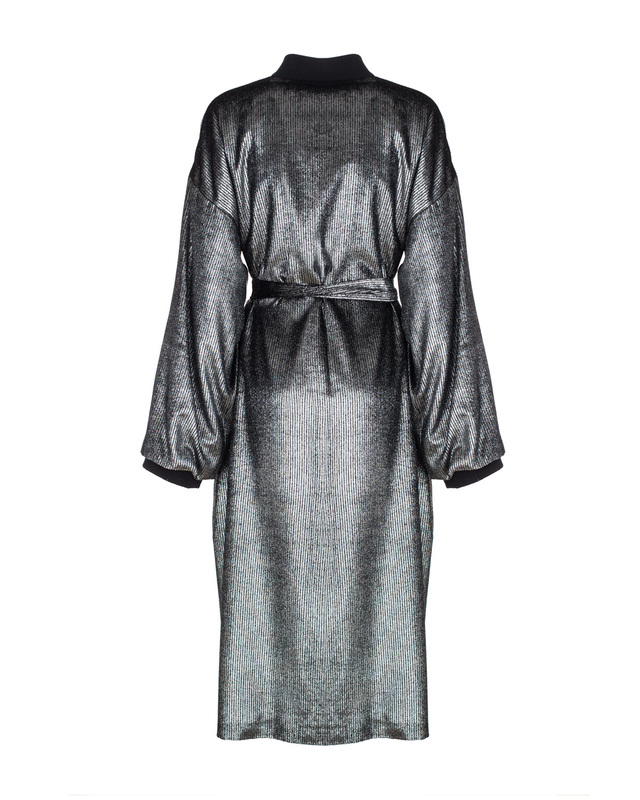 The robe is re-invented for Genny's new collection, becoming an elegant and feminine piece of outerwear. The robe-cut trenchcoat is made of lightweight laminated velvet with black ribbed cuffs and collar. The coat's fluid and flowing line that makes it perfect for winter after-dinner wear over a minidress.